upGrad, India’s leading online education venture focused on building careers of working professionals, unveiled its first ad-campaign. 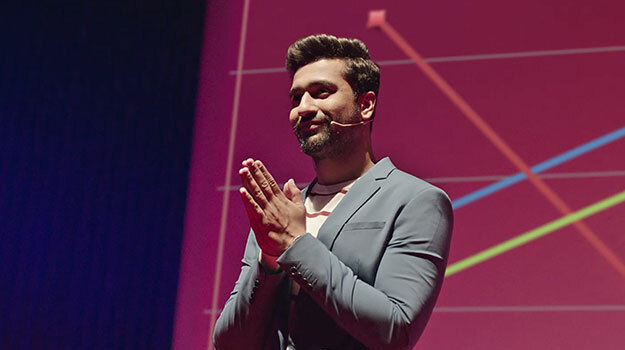 Featuring actor Vicky Kaushal, the film introduces consumers to upGrad and brings the brand idea alive. The film breaks the myth of online education being ineffective by showcasing how impactful the online education space is today and how it is as good as traditional offline education. The second part of the TVC campaign is based on the insight that the Indian working professionals are in a state of inertia where they feel that they do not need to go back to learning once they have a job. These films are set to make the customers realize that to remain relevant in today’s day and time, one has no choice but to learn and upskill. The campaign sheds light upon upGrad’s unique online power learning approach to learners and demonstrates the influence of upGrad and the role it can play in the learner’s life by giving them the opportunity to transform their careers. It further intends to establish the fact that in this fast changing world of technology, there’s a massive demand for new age skills at the workplace and you need to upskill yourself for a better career. Created by Lowe Lintas, the ad campaign showcases upGrad as a brand which plays an important role in learner’s life by acting as an engine of transformation which gives them the ability to put their careers on a high growth trajectory. Announcing the launch of the new ad-campaign, Mr. Ronnie Screwvala & Mr. Mayank Kumar, co-founders, upGrad said, “Through this campaign we are trying to create awareness on how upGrad can help learners prepare for the future of work and help them thrive in their career. Online education for professionals is still at a nascent stage in India and to create awareness at a category level, we felt the necessity of a commercial that will change the consumer mindset and is relatable. Our association with Vicky Kaushal and the new TVC will help us increase our reach & create deeper connect across geographies”. Sagar Kapoor, Chief Creative Officer, Lowe Lintas added, “It was an excellent briefing session by the founders that led our creative thinking at upGrad. The vibe was positive and the brief actually spoke about what upGrad can do to lives rather than just what upGrad is and how continuous learning can make sure one keeps navigating his or her career forward. Inspiring stories of how lakhs have already done this successfully spurred us further. All that said the team believed in keeping the message and tone of the communication sprightly and involving. Hence the idea of “life ko karo lift”! 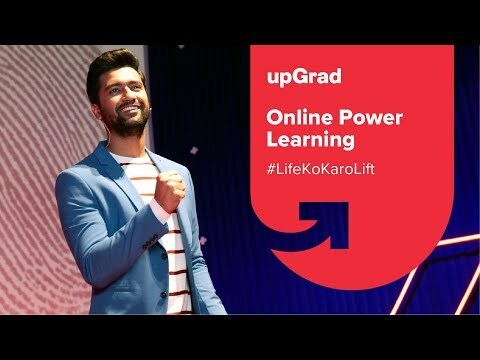 upGrad was founded in early 2015 by Ronnie Screwvala, Mayank Kumar, Phalgun Kompalli and Ravijot Chugh, with an aim of empowering individuals to reach their full professional potential by providing them with online programs which are built with top university and industry partners, with dedicated mentorship and expert career guidance.